2 years of iPhone Galcon! To celebrate two crazy years of iPhone Galcon, I’m putting the game on sale for $1! If you don’t have it already, or have friends who haven’t gotten it .. well .. get it now! Soon after Galcon got multiplayer! Here’s a shot of me testing it under linux! 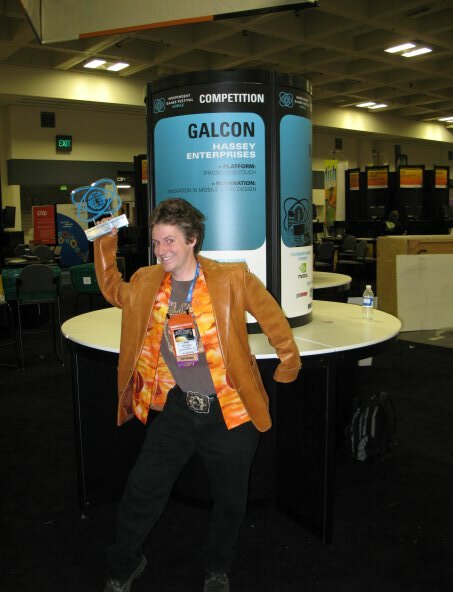 In March 2009, I won the IGF Innovation in Mobile Game Design award at GDC’09! 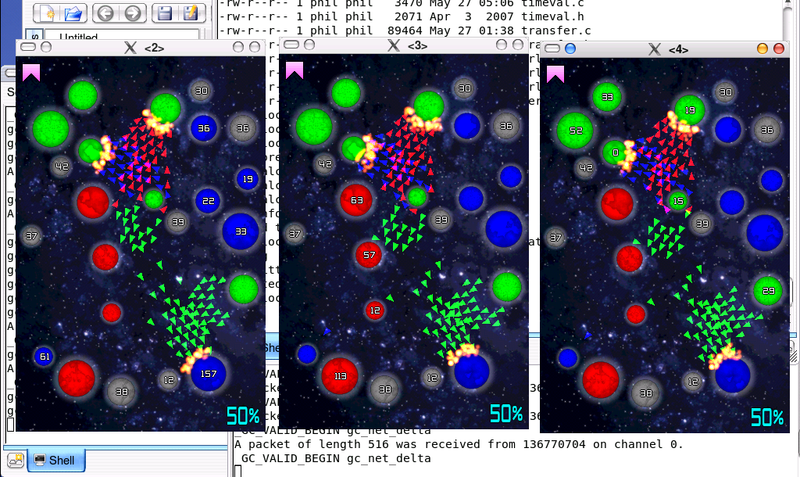 Then in September ’09 I launched Galcon Labs, which included 4 new game modes for Galcon! I’m not entirely sure what the coming year will hold for Galcon, but I bet it’ll be swell! Elephants! is free on the App Store! 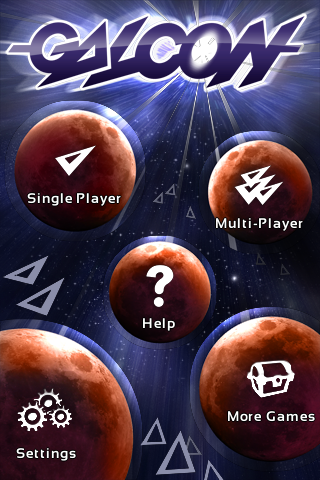 My gift to you: A totally FREE iPhone game! 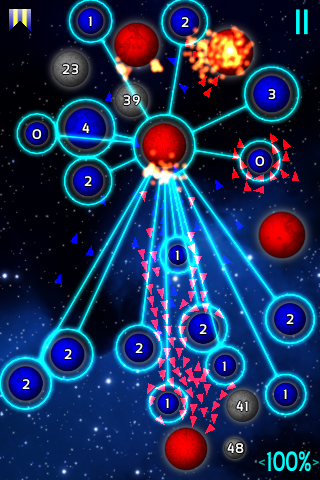 I made this game several years ago with some other way-cool game-dev friends. In “Elephants!” you save the giraffes while jumping on a rolled up squirrel! More fun than a barrel of pigeons! For Christmas this year I figured I’d port it over to the iPhone for you 🙂 Check it out! Two weeks ago, the price of Galcon @ $3, Labs @ $2, and Lite @ $0. This past week, I changed them to Galcon @ $5, Labs @ $3, and Lite at $1. I wanted to see how this would impact revenue. Galcon Labs on the App Store! Anyway, I just got back from 360iDev where I gave a talk about Galcon Multiplayer. The two main points made in the talk were about managing community, and test driven development. With so many devs talking about App rejections and other problems, I wanted to make sure the app was approved first time through the system. And it was, in an excellent 7 day turn-around 🙂 So a real big thanks to all the folks out there who pressed me into reading the Kent Beck book on the subject! “The end of the world is nigh! 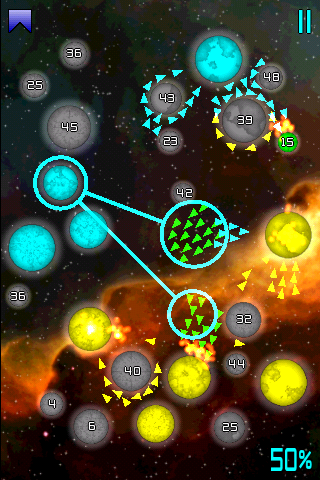 Defend the world from the onslaught of an unfeeling universe! 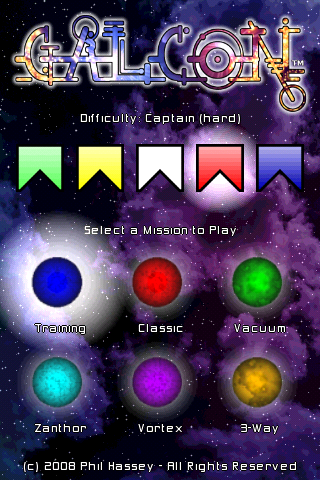 “In Cosmic Nitro you must blast through nine different invasions. 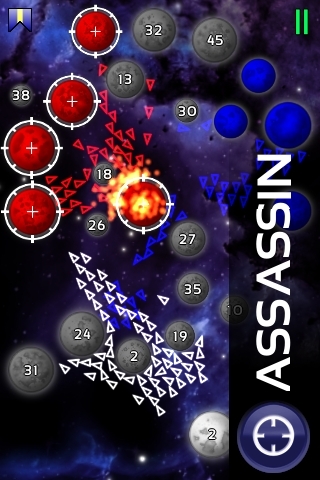 To play merely touch the invaders to blast them, but when things get too tough you can swipe the screen to launch a shield. So check it out, the game is only 0.99 and totally worth every penny! Be sure to tell your friends about it! Man .. these launches take a lot don’t they! At least I’ve utilized my blog here to list all the things I plan on preparing. So starting Wednesday I’m working on a iGalcon update *finally*. I’ve got the most demanded features figured out, so I hope to package it and send it to Apple come Monday. Fun bit is the game will probably be available on the AppStore during my sister’s wedding. So .. I have to make sure all my announcements are all prepared a week in advance so I can “launch” my update with about 5 minutes of button pressing when I get the notification from Apple. 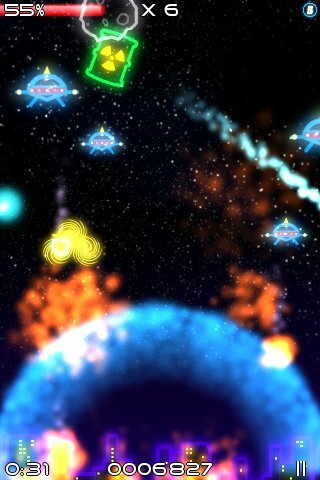 Today marks the release of my first iPhone game release in five months. It’s about time I got going on dev again. I’ve been in the midst of many transitions in both of my businesses, so I decided to start out with something short-n-sweet. The game is called Beast. 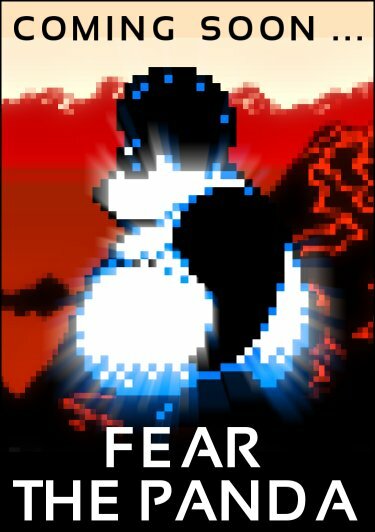 Beast is a re-make of an ancient MS-DOS game that I played ages ago (and I’ve re-made several times). The original is here. You may have followed my progress on twitter. Here are some interesting “factoids” about the game dev. You can move the player around the screen by pushing your finger around. However I had to make the player unable to move diagonally as I found the resolution of your finger movement made it near impossible to play and quite jumpy if I allowed diagonals. You can touch any point on the screen and warp to that location. The controls were still a bit tricky, so I had to add this feature so you could do quick movements to escape from a beast, or to attack it quickly. I disabled the beasts so they can’t move diagonally, made the super beasts spawn into only 4 instead of 8 normal beasts, and slowed down the beast movement by about 50%. These changes were all required to make the game playable. All these changes turned an impossible to play on the iPhone into a reasonably fun diversion. I also added a notable element of speed into your score. This gives the player a good bit of replay value, since even after they beat a level, they can try again and try and “master” a map they are playing. Overall the main point of this whole exercise was to get myself back into iPhone dev. Really last year when I worked on Galcon I threw myself violently into that project for 3-4 months and came out a bit burnt out. I knew this time I needed to do a small scale project to get going again. I’m pretty pleased with the results of this project. 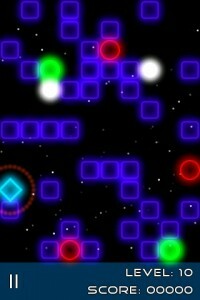 For some more interesting factoids about the game project, check out my game blog announcement. 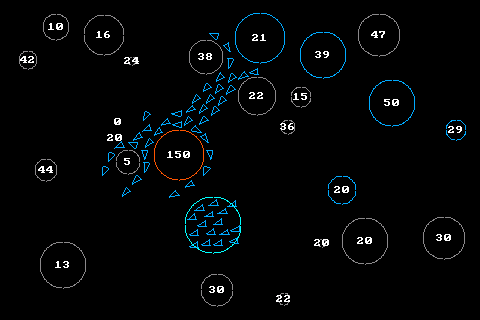 Excuse to post this to the python planets: I actually made a python version of this game a few years ago. It contains some really bizarre pure python sound-synth for both the music and sound effects. Check it out. 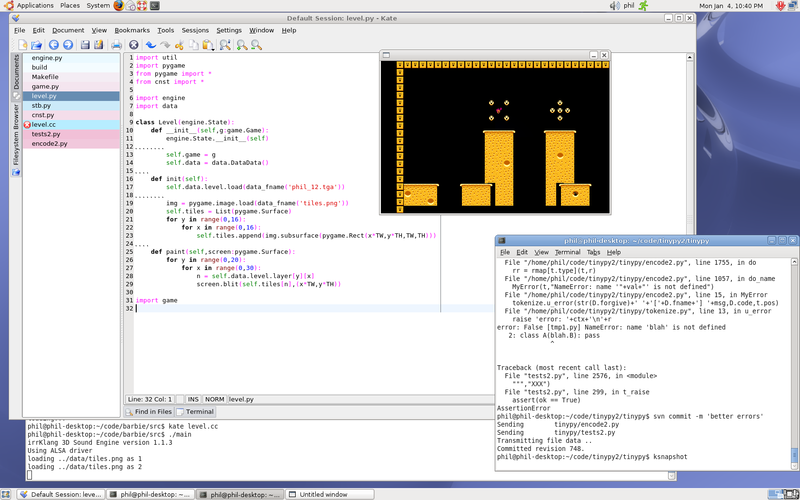 Not only all that, but the whole game is a single 18k python file! I ported from this code for the iPhone version. 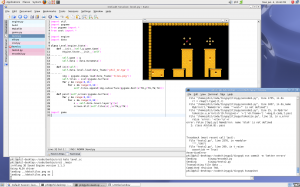 Again, another great example of python prototype -> C++ final product!